Each year the AHS (American Hemerocallis Society) asks its 10,000 or so members to fill out their Popularity Poll ballots. This poll is not a scientific survey in the least. 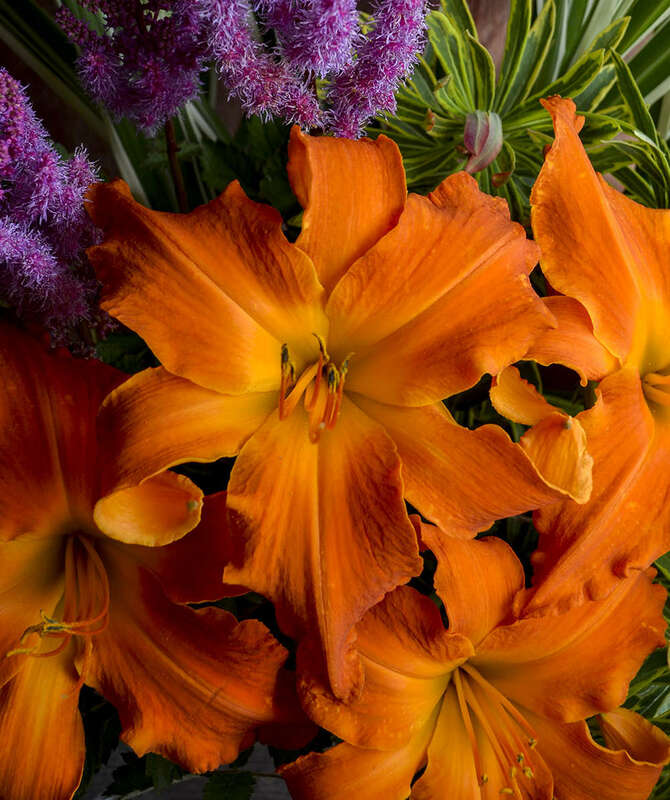 The average gardener that grows daylilies doesn't fuss too much with fertilizers, soil amendments, watering and such. The Popularity Poll represents hybrids that are tried and true performers that have stood the test of time under a wide variety of growing conditions. Due to the different climate throughout the country, the Popularity Poll is segmented into regions. So if you are just beginning, this is a good place to start. 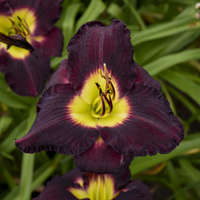 You can find the most recent popularity polls at the AHS website, www.daylilies.org. Bud Count and Branching. Modern varieties will have scapes that branch. The more the scape branches the more buds it will have ensuring a longer flowering period. 'Spanish Glow' is renowned for its incredible number of buds, giving it tremendous bloom power in the landscape. Flower Substance and Form. Flowers with heavy substance and less papery the blooms, especially with dark colors, remain much more sun fast. Hybrids such as 'Alabama Jubilee' hold up in the hot afternoon sun. Blooms that Open Consistently Under Varied Weather Conditions. Many older varieties tended to partially open on days that were cool and cloudy. Newer varieties open very well on days that are overcast. They also open up well the next day from nights that might fall below 60 degrees. 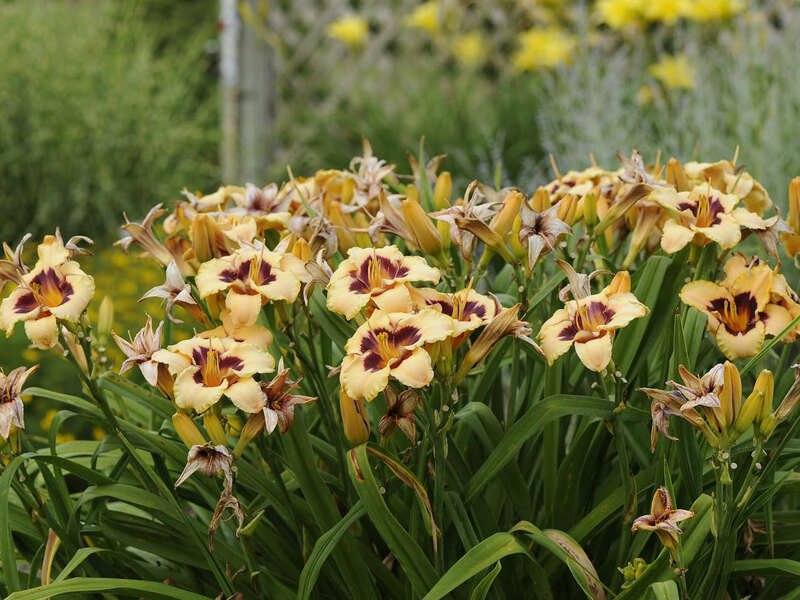 Some of the newer varieties are nocturnal with blooms that open well into the evening. This is a very nice feature for those enjoying their garden in the evening. 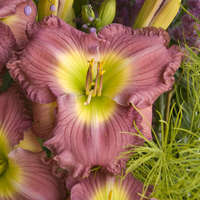 'South Seas' is an example of a nocturnal daylily. Attractive Foliage. Today's newer hybrids have very pleasing foliage types that stay attractive throughout the growing season. 'Lavender Stardust' is a daylily that has outstanding foliage. Disease and Insect Resistance. Perhaps one of the most important byproducts of blooms with heavier substance and plants with a more vigorous habit is an added resistance to diseases and pests. Flowers with heavier substance are naturally more resistant to thrips while vigorous plants produce foliage that resists foliage blights. 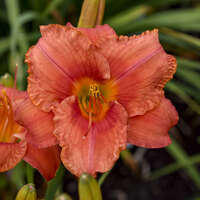 'Bela Lugosi' is an example of a daylily with very thick substance to its petals. Other questions one might ask are what are the features that might set this daylily apart from others on the market? Is their some special appeal in the color, pattern, or blending in the color of the flower? Are you looking for special features such as reblooming characteristics? 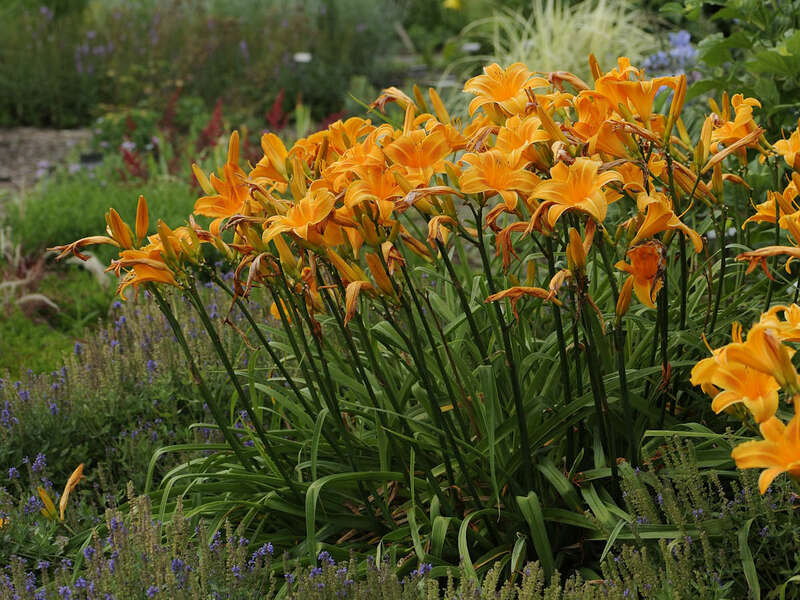 Dormant, evergreen and semi-evergreen types classify the various foliage types of daylilies. For northern gardens, it is best to purchase dormant types. These will prove to be winter hardy and better growers in the garden. More information about daylily foliage can be found in the glossary. Click here to go to the glossary. 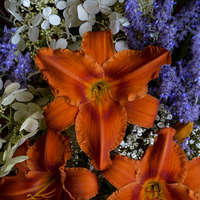 Daylilies are one of the top selling perennials. 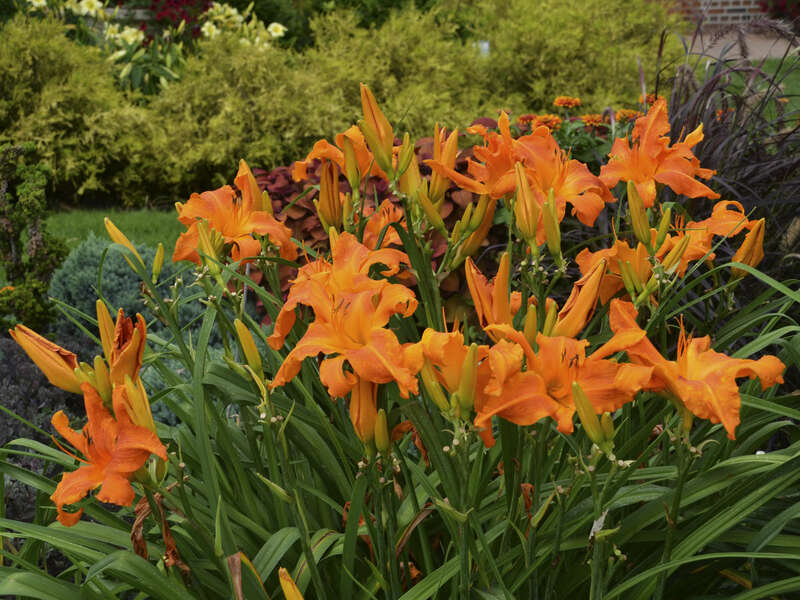 Their ease of culture, colorful display, length of bloom, as well as many other desirable characteristics make many modern daylily varieties an excellent choice for the summer garden.